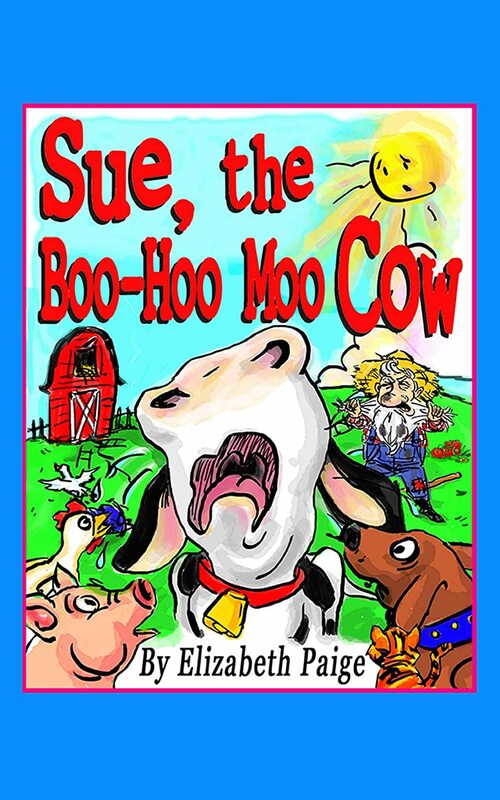 Sue, the Boo-Hoo Moo Cow is an "udderly" ridiculous, silly, rhyming children's book about a moo cow named Sue who liked to wear one red shoe. Chaos ensues when the farmer decides that enough is enough, but finds that removing the shoe is really quite tough. Laugh out loud as the farmer flies into the lake, the cow climbs up a ladder, 101 chipmunks get skunked, and the hen house gets just a little bit flatter! In no time, kids will have the book memorized and want to read it again and again! It's great for story time, bedtime, anytime! And best of all, it blesses kids with the best medicine for a cold or a rough day--laughter! My Review: Very fun read with awesome illustrations. Children love rhyme (and so do I). Reading Paige's story is a delight for both adults and kids. After you've read or chanted the words together, spend time pointing out attributes in the pictures, from the anxious sun in the second page to the goose's surprise, to everyone's satisfaction at the end. Highly recommended for anyone who needs a little fun break. 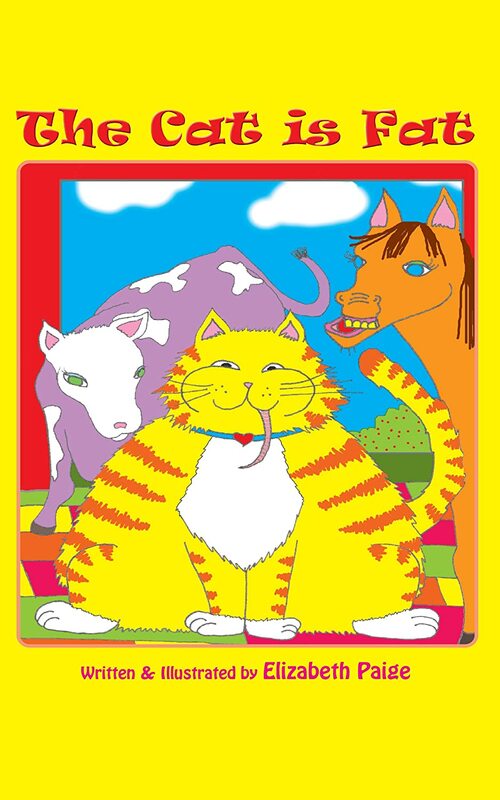 The Cat is Fat is a brightly illustrated, silly, rhyming story that children of all ages will love to read again and again! You'll laugh out loud at the funny antics and the chaos that was caused on a farm one day, when a fat cat forgot to chew on a tasty, old rat! Farmer Bob's peaceful farm was never the same! My Review: In the fun tradition of Dr Suess and There Was an Old Lady Who Swallowed a Fly, Paige's story of an accidental swallow which turned a farm into a zoo during all the fuss of dealing with the rat that should have been...chewed...will delight small and big readers. Paige illustrated this story with simple outline characters, like fat Gus and the farm animals, in bright colors kids enjoy. This story, and Sue the Boo-Hoo Moo Cow, with more mature artwork, will make great additions to your children's bookshelf.